A storm system is headed for the Central and South Coasts, but only light rainfall is now predicted. An approaching upper level low in the Pacific could create the chance of rainfall for the region Tuesday through Thursday. But, public safety officials monitoring the storm say they don't expect there to be flooding issues in the region's brush fire burn zones. KCLU's Lance Orozco reports on mandatory evacuation orders being issued for three brush fire burn zones in Santa Barbara County, in advance of a major approaching winter storm. With a big winter storm coming, Santa Barbara County issued mandatory evacuation orders for three brush fire burn zones on the Central and South Coasts. Officials say as of right now, the bullseye for the storm appears to be the Thomas Fire burn zone. The evacuation orders could affect as many as 18,000 people in Santa Barbara County. The storm that is hitting the South and Central Coasts this weekend is on its way out. And the good news is that it hasn’t caused any problems for the brush fire burn areas. Public safety officials say it never reached the threshold to order evacuations. About a dozen beaches along the South Coast are closed due to contamination caused by the destructive storm earlier this month. Ocean water samples were tested, and the results revealed high levels of bacteria. The month of May is usually warm and dry but not this weekend. A storm from the Gulf of Alaska is hitting the South and Central Coasts. 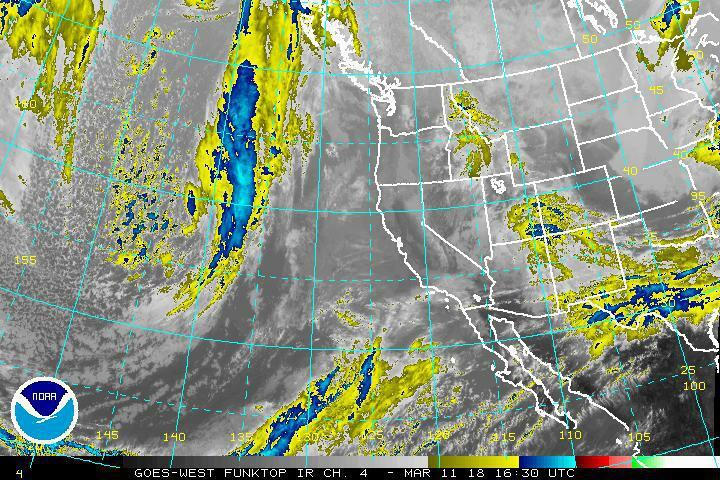 "We have a cold storm system that's moving into the region today [Saturday], and that will bring periods of light rain, patchy drizzle to most coastal/valley areas," said National Weather Service meteorologist Todd Hall. "As this cold air pushes in later today [Saturday], we will see the potential for the heavier rain with this system to start to develop as well as the possibility of isolated thunderstorms." It’s time to pull out your umbrella again. Wet weather heads our way. A weak cold front is moving through the South and Central Coasts on Sunday. 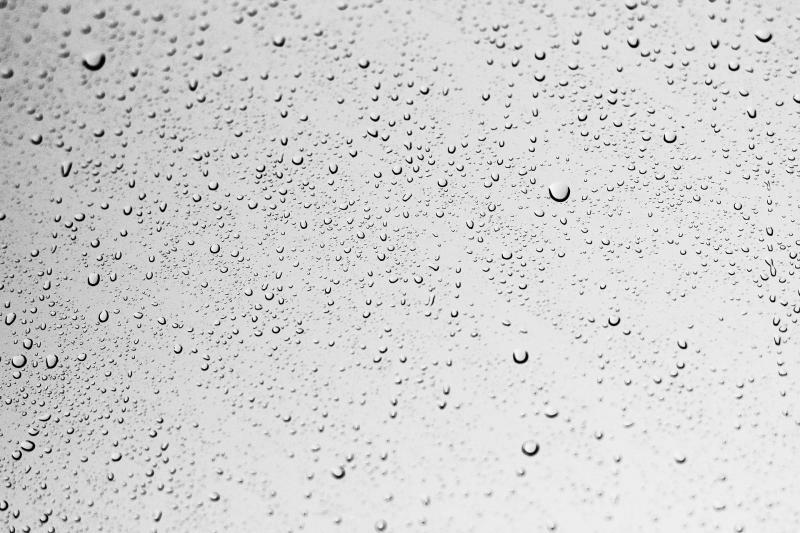 The National Weather Service said rain hits Ventura, Santa Barbara and San Luis Obispo counties in the morning. The rain will then turn into showers and will be over for most areas in the afternoon and early evening. There could be a few lingering showers for the rest of the day. This storm is only expected to produce a tenth to a quarter inch of rain. Temperatures will stay cool with highs in the 50s to lower 60s. Santa Barbara County officials say last week’s storm caused more than seven million dollars in damage in the county, prompting them to declare a local emergency. The move, which County Supervisors will be asked to formally ratify next Tuesday, could open the door to state and federal aid. County officials say the new damage comes on top of seven million dollars in damage from storms in January. 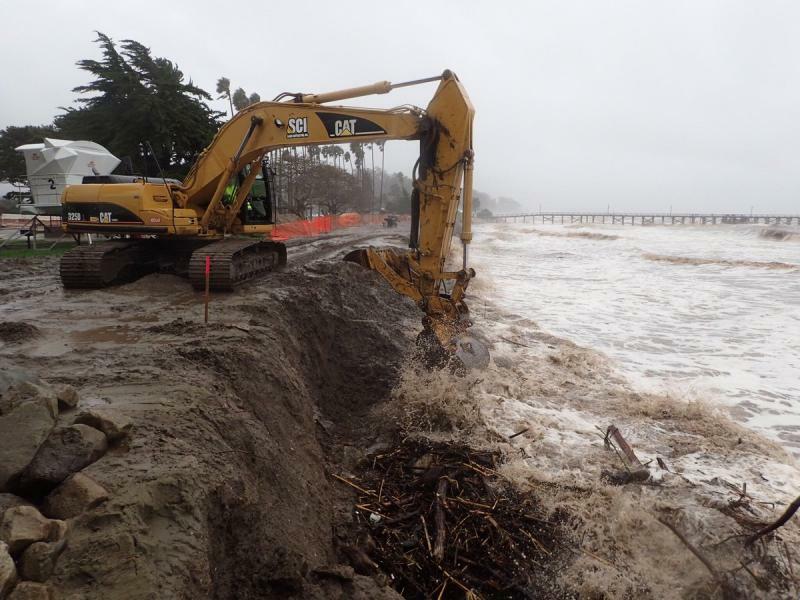 Roads and highways were damaged, trees were knocked down, and the Goleta Pier was hit hard, and is closed pending repairs. KCLU's John Palminteri reports on the Lower Mission Creek widening project, which has been hit by setbacks due to the severe rain. The Lower Mission Creek widening project in Santa Barbara has had a major setback due to the force of recent rain. Some of the supports broke loose as the runoff waters raged over the weekend. Even now, there's still debris in and around the creek water and the banks. Rescue crews have located the body of a man who may have been swept away by heavy flooding in the Conejo Valley. Ventura County Sheriff’s detectives say around 8:45 Saturday morning, officials in a sheriff’s helicopter and swift water rescuers found the body in a remote area of the Arroyo Conejo Creek in Thousand Oaks. The man has not yet been identified. Crews have been searching for a man in his 20s who was swept away Friday afternoon by fast-moving water when heavy rainfall flooded the barranca area near the 1200 block of Camino Dos Rios in Thousand Oaks. Just after 2 p.m., they rescued three people who were stranded within the barranca, and they told authorities that a fourth man had been swept away by the water. A South Coast airport and a major highway reopens, but some flooding issues persist as the storm tapers off on Saturday. The Santa Barbara Airport -- that had to shut down Saturday afternoon because part of its main runway flooded -- has reopened. Officials say runways were reopened to all aircraft at 7:30 a.m. Saturday, but travelers are warned that standing water is still an issue on roads leading to the airport. A portion of Highway 101 on the South Coast, which was closed for more than six hours by storm flooding on Friday afternoon, is finally open. 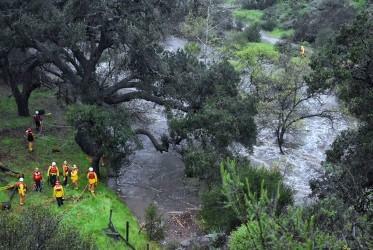 Three people were rescued, but the search is continuing for a fourth person who was swept away when heavy rainfall quickly flooded a barranca area in the Conejo Valley. 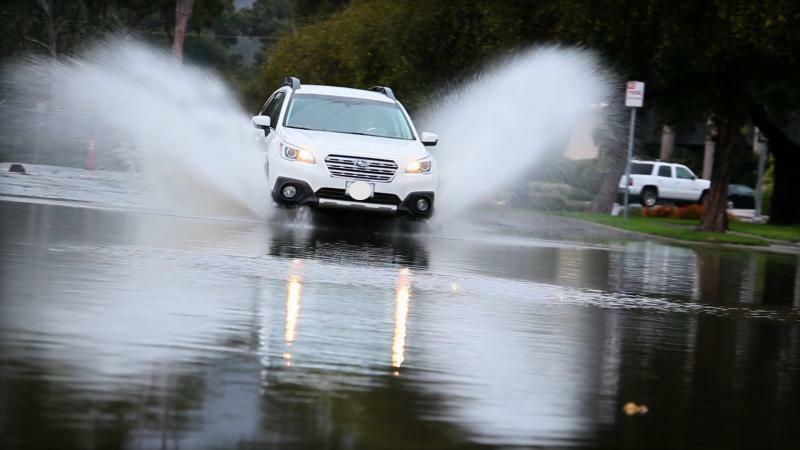 Ventura County Sheriff’s deputies, firefighters, a Search and Rescue team and a helicopter responded to a call of some people stranded by high water on the 1200 block of Camino Dos Rios in Thousand Oaks just after 2 p.m. Friday. 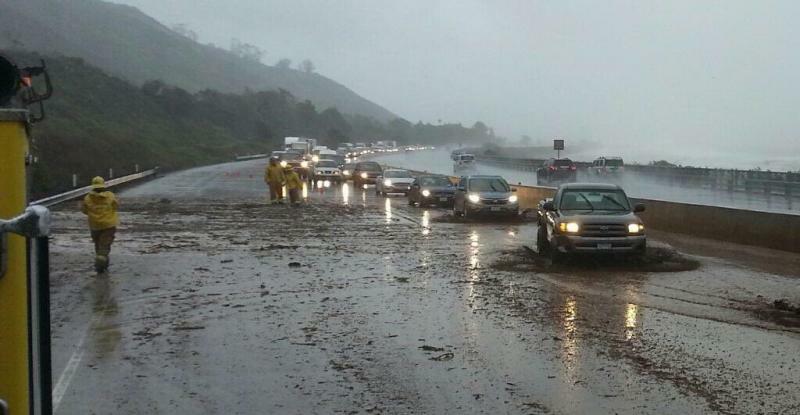 A key section of Highway 101 on the South Coast is closed by storm flooding, stranding thousands of motorists. Northbound lanes of the 101 between Ventura and Carpinteria, near La Conchita were closed at around 2 p.m. CHP officers say there's two to three feet of water and mud on the highway. Northbound traffic is being stopped at Seacliff, and turned around back to Ventura. With other mountain roads like Highway 150 treacherous because of the heavy rainfall, there are no practical alternatives at this point for northbound traffic. Wet weather is on its way to the South and Central Coasts. 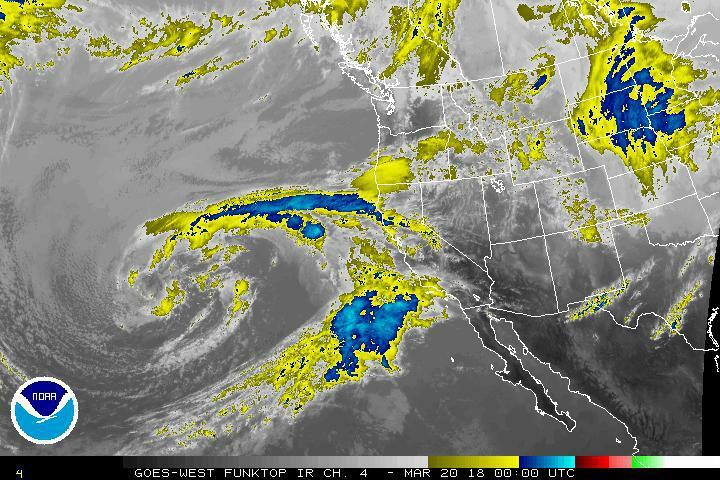 The National Weather Service said a storm may arrive on the Central Coast on Sunday evening and then spread southward to the South Coast overnight. Rain, along with gusty winds, will continue through Monday morning, and then it will turn into showers for the afternoon and evening. Wet weather could linger into Tuesday. Forecasters say rainfall amounts will range from half an inch to one-and-a-half inches, with higher amounts in the foothills and mountains. Snow levels will drop to between 6,000 and 7,000 feet. A section of Highway 101 on the South Coast which was closed for more than six hours by storm flooding Friday is open. More than two feet of water and mud closed the northbound lanes of the 101 near La Conchita just before two p.m. Friday. Northbound traffic was diverted at the Highway 101-33 interchange in Ventura, and diverted onto the 33 and Highway 150. There were massive delays. One of the northbound lanes was finally reopened just after eight Friday night, and work is still underway to clean up the rest of the freeway. KCLU's John Palminteri reports on road closures due to a cracks in support wall suspected to be rain damage. A section of Cathedral Oaks Road near Winchester Canyon is closed and a detour is now in place, after cracks were seen in a major support wall. Officials with the city of Goleta say they see a bulge in wall as well.